The ETC Operating System for Control and Recordkeeping (O.S.C.A.R.) is one of the latest free-standing units available on the market today, utilizing state-of-the-art BARA-MED “Select” computer operation functionality for treatment. ETC’s Operating System for Control and Recordkeeping (O.S.C.A.R.) is one of the latest free-standing units available on the market today for hyperbaric treatment care. As a key leader in the field of hyperbaric technology, ETC continues to serve as a model for ethical business standards and practices, creating a benchmark for others in the industry. They have aided in research and development of hyperbaric technology, allowing for rapid advancement in the field. 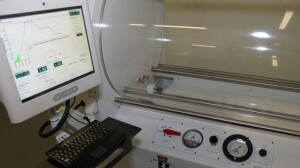 OSCAR is unique among others hyperbaric operating systems because it utilizes state-of-the-art BARA-MED “Select” computer operation functionality for treatment. ETC’s Operating Systems for Control and Recordkeeping can be connected to an existing BARA-MED Hyperbaric Chamber to allow for upgrade. Includes all the data acquisition systems necessary to ensure accuracy and efficiency in recordkeeping. This system utilizes SMOOTH RIDE curvilinear compression which reduces barotrauma by 67% which increases the number of patients that can complete the treatment. 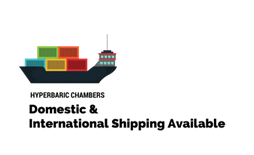 Interested in learning more about the ETC O.S.C.A.R Stand-Alone Unit Hyperbaric Chamber or the other new and used hyperbaric systems that we sell? Fill out the contact form below or contact us today to speak with a knowledgeable customer service associate.